On a morning that started with snow on our velux windows and roof, knowing I had to squeeze a ride in was not a delightful prospect. I had planned a short route to a Costa Coffee which felt like a cheat because it’s a cafe I visit every Monday morning between my swimming lesson and my Italian lesson. I have never been to it by bike though – so it still felt like a worthy challenge. 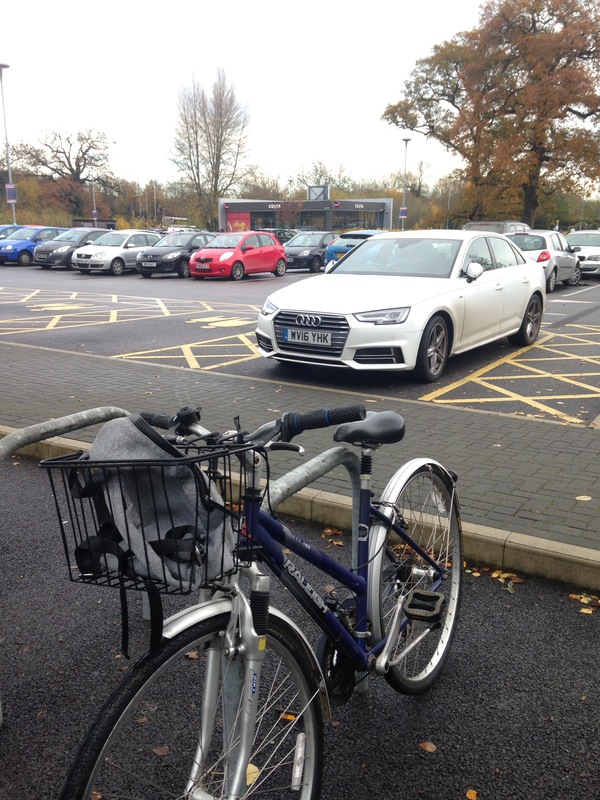 The cafe is on a small retail park just outside Chippenham and as I cycled around the car park I saw there was nowhere to lock my bike up by the cafe, but there was some cycle parking right over on the other side. My bike over here, cafe all the way over there! It might have been a distance away, but it had the rare luxury of a roof. It was immaculate so although the park has been open for several years I think I was the first cyclist to use it! 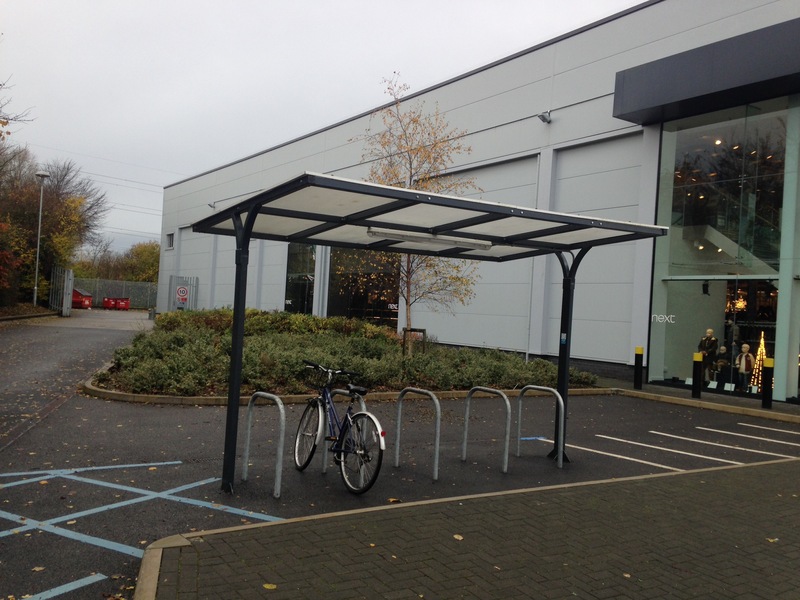 Luxury bike parking with a roof! 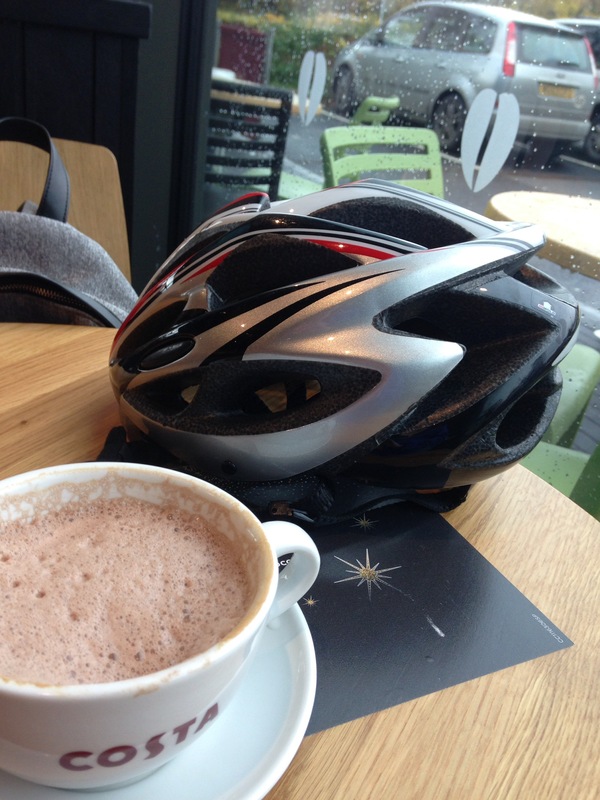 I had a hot chocolate and sat in the window anxiously watching the dark skies before pedalling hard and fortunately beating the weather home. 7.6 miles on the trusty “Happy Shopper” bike, and just one more Coffeeneuring trip to fit in before the end of the weekend. Next Next post: Coffeeneuring #7. A Flood and a Flask.